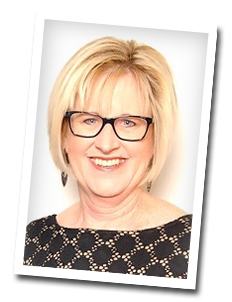 Pam Hulstrand has been a Trainer for Prepare/Enrich for the past 13 years and has trained over 600 pastors, counselors and ministry leaders on how to use this invaluable tool. Pam has been using this assessment in her own ministry with over 500 engaged and married couples since 1992. 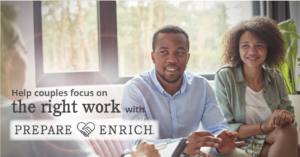 The Prepare/Enrich certification workshop is designed to help facilitators learn how to use the Prepare/Enrich program with premarital and married couples. The registration fee includes a resource kit, seven hours of training, a Facilitator ID number, lunch, and a free Prepare/Enrich assessment ($35 value). Register below or on the Prepare/Enrich website. Host a Workshop at your Church and receive a significant discount on registration fees. Contact me for more info. Group discount of $20 per registration fee for 3 or more registered from the same congregation for any workshop. Those who have attended one of my training sessions in the past 5 years are welcome to sit through another one as a refresher for free! Pay with a Credit Card using Paypal below. "You had a nice mix of teaching and video; allowing questions and even a role play! You are very skilled in guiding participants to apply assessment results to real issues demonstrated on the videos. Your knowledge of the materials is exceptional." "You presented clearly, effectively and enthusiastically, plus you demonstrated a high level of proficiency with the material." "You are clear, caring and so qualified!!" "What I liked best about the workshop was: PAM! Excellent facilitator. Very knowledgeable & engaging." For more information visit the Prepare/Enrich website. On Bended Knee Ministries offers Premarital Counseling, Marital Tune-Ups, Weddings, Prepare/Enrich Seminars and More.